Hermogenes Vito Cruz is a former Mayor of Pasay City. He was the leader of the town’s local katipunan who fought against both Spanish and and American forces. Vito Cruz is also the founder of the Aglipayan Church in Pasay. 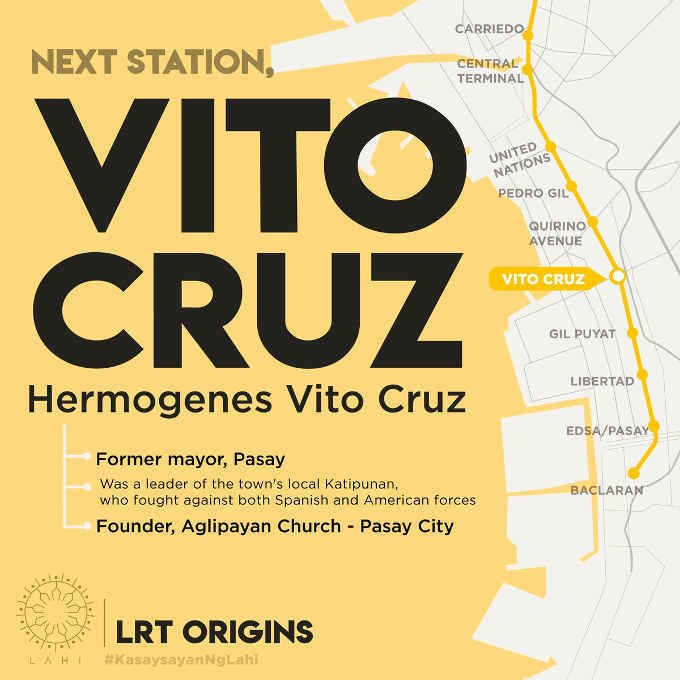 Vito Cruz is more popularly known today as an LRT station located between Quirino Avenue station and Gil Puyat station.